Trying to bring the Beautiful, but deadly world of Bleach into Minecraft. As far as any mods, you wont be able to find one yet but consider this the repository to pitch me ideas, and just nerd out with each other and myself. However, a few things should be discussed. Firstly, if we are going to be talking about Bleach, please put anything relating to anything post anime in a spoiler. We don't want to ruin the story for anyone. 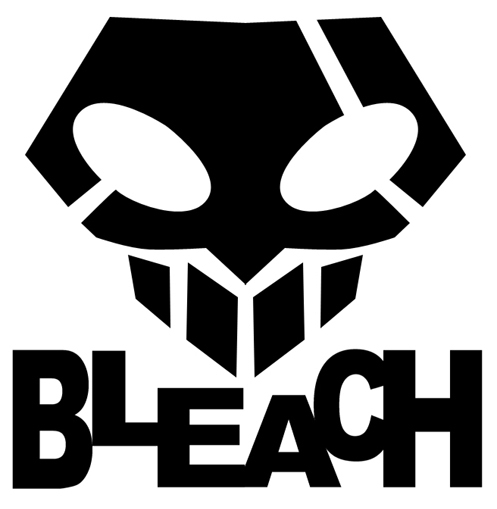 Secondly, if you haven't read Bleach, please do so now. The manga goes past the anime at chapter 480, so use that as a mark to catch up from. Finally, please don't troll the mod developer. We've been through it already with LBL. That may be why he stopped, and we don't want that to happen again. 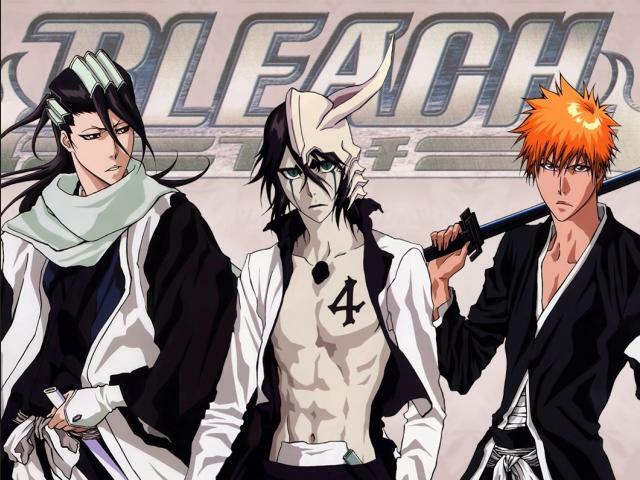 I think the mod should focus primarily on the trinary of humanoid forces in the bleach universe: Shinigami (soul reaper), Arrancar, and Quincies. There's also the vizard to implement, which are basically shinigami's with hollow masks, and whatever the hell orihime and chad are supposed to be... which I'm not sure what to do with. I'm just gonna ignore orihime and chad for now. In the old bleach mod, you were forced to pick one of these classes when you started a new game. That was a big turn-off for me. I think you should start as a human, and there should be a unique way of becoming one of these classes by playing the game. For example, to become a quincy you would need to craft a pendant, and kill a dozen hollows while wearing the pendant. To become a shinigami, you would need to kill a dozen hollows, then right click on another shinigami like "Yo sup, I'm doing your job for you guys, you should make me a soul reaper!". For Arrancar, kill a dozen hollows then get killed by a hollow. That would turn you into a normal hollow, but then you could attack and eat other hollows to become an arrancar. These are just examples, there's a million ways to do it. You could even add the dimension for soul society and hueco mundo, and tie those into these class quests. So becoming a hollow would also teleport you to hueco mundo, where you'd have to eat a certain number of hollows there to turn into arrancar and return to the overworld. Or to become a shinigami, you can die some other way, which would teleport you there, and you'd have to do trials or something to become a shinigami. Those ideas are ridiculously complicated, but it'd be pretty damn cool to do it that way. Anyways, no matter how you become these classes, they should all be fairly balanced in terms of combat power. The best way to do this is to have a "spirit level" stat that's the same for all the classes. You simply raise this stat by defeating hollows, or other mobs this mod will add. Additionally, you could have some kind of skill point system, which could be used to upgrade the abilities and zanpakuto of the player. Accessing the menu to use these skill points could be a traditional button or key press, or a cooler alternative could be a special shrine block you'd need to use instead. This block would be simple enough to craft, but use a bit of gold or something to add cost, and be destroyed if you try to pick it up. This would force the player to return home and rest in order to level up properly. Mobs would aggro the player depending on their faction. Although for arrancar, only some hollows should be neutral, while others would be aggro anyways. Good lord this is a long post now, I think I'll stop for tonight. I'll just add that you shouldn't have to craft your zanpakuto. If you're shinigami or arrancar, you should always spawn with it, and be able to summon it with a certain key if you lose it somehow. One more thing, I noticed this thread is marked with 1.7.10. Please don't make the mod for such an old version of minecraft, as it's extremely hard to update from 1.7 to 1.8, and I would hate to be stuck with 1.7 any longer than we've already suffered lol. I would start with the newest version available, which is 1.10.2 as of this writing. Even though there's not much documentation available for it yet, it's very similar to 1.8 anyways, so just use the docs for that. The main things I would like to see in this mod are features that weren't in the original version. I'll break them down into categories. Firstly, more blocks. I love building in a Japanese style, but with the current Bleach mod, there aren't very many blocks to do so with. So adding a plaster block, roof tiles in slab, stair and full block form, as well as more paper lanterns and walls, as well as sliding doors, would be great. I currently have to use 2 additional mods in order to get it to work, and it causes way too much lag on my rubbish netbook. Secondly, classes. I'd like to see a way to choose your class after your first death, either becoming a hollow or Shinigami, or returning to life and becoming a Quincy. Maybe after you respawn, you receive an item similar to the faction selector, and you get a text pop up in the chat, once you've chosen, saying something like; "Player, after death, has arrived in the Soul Society. After years of training, they are now a Shinigami". I would also like to just receive the armour for each class. It was way too expensive to craft in the original mod. Finally, I'd like to see some customization implemented. With the original mod, choosing your Zanpakuto required creative mode, so a GUI that showed up once you achieved whatever parameters there are for shikai to allow you to modify the shape and effects of the blade would be great. I would also suggest starting with 1.8, then moving into 1.9 or 1.10. This would just be to get used to coding Minecraft, without the whole two hand system. then once you get better, you move on to the newer versions. And I'll just say that this either goes in to requests/ideas for mods or WIP mods, not into RELEASED mods. Thanks for the feedback guys, I'm gonna jump on this and get an early start. 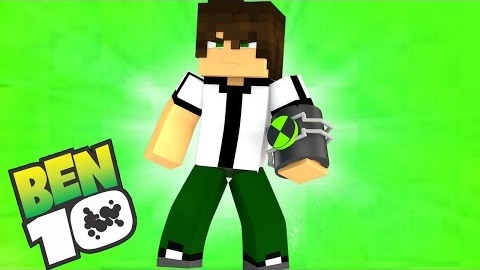 First off I'm going to ask you guys if you're all of the opinion that this should be in 1.8, i wont be going to 1.9 anytime soon if at all, due to the fact that it doesn't have some of your favorite mods on it yet (IE carpenters blocks, and probably wont for quite some time) Not only that but the 2 armed system is hard to work around (and already exists in a mod called mine and battle gear 2) , or so I've heard. Also if you want to help on the development of the mod ill just require that you have a working mic and Discord, and we'll work out a system of communication. ill pm u, downloading discord now. I agree with Krazecain that you should start out as Human but I think it should work a bit differently. At first, you would have the option of being either a Human or Quincy. When you die as a Human, you'll spawn with a Chain of Fate in your chestplate slot. You only have so much time until that chain shrinks and becomes a hole in your chest, turning you into a Hollow. If you can find a Shinigami, they can perform a Konso on you and teleport you to the Soul Society dimension. Dying as a Shinigami will bring you back to the Overworld as a normal player. Being killed by a Shinigami while a Hollow will also bring you to Soul Society. As a Quincy, you don't have to go through anything complicated and you can immediately start killing Hollows by obtaining a Pendant. In Soul Society, you can go to the Soul Academy to get a Zanpakuto and if you learn Shikai, join a Squad. With this, you can return to the Overworld and back to Soul Society at any time but each time you will need to go through the Dangai. The Dangai is uh not fun. As a Hollow you get stronger by eating Human Souls/Pluses but eating Hollows will eventually let you become a Menos. Dying as a Menos to another Hollow means you are stuck as whatever kind of Menos you are at that time. A Gillain will be stuck as a Gillain, an Adjuchas will be stuck as a Adjuchas. You're goal is to survive long enough to become a Vasto Lorde but either way you can still become an Arrancar and gain a Zanpakuto. You get option of removing your mask after dying as a Menos of any kind. Thanks for the suggestions I really like the chain idea and your ideas on hollows but the idea on making shinagami regular players after they die seems kinda cruel to be honest, nobody wants to lose all their progress just because they died one time. also I was thinking of adding a feature where if a normal player (not a part of any faction) encounters an Arrancar it adds a distortion effect on the players screen to simulate spiritual pressure. I have to say, YEEEEESSSS!!!! I have waited for a new Bleach mod for a long time, and now one is here! I give you nothing but praise, and wish you only good luck for the future. BTW, do you have plans for a leveling system? It's kinda cool to see just how fast this is getting support, Good luck man! Hi everybody. so we basically heard your plea for a 1.8 bleach mod. so that's just what we're doing, starting in 1.8. Now why do I say we, well that's because I've added someone to the mod development team (AndrewDaBombb) and he has been learning to code all day as well. With his help we were able to create the border for the mod. If I can use a metaphor it would be that we dug a hole in the ground, and now we need to cement the walls and fill the hole with water. Hopefully we will reach the point where you guys will have an awesome pool to swim in someday. (much metaphor so cringe) Thank you all for this opportunity......Oh and before I forget, as soon as I find out how, I'm going to make our official forum moderator IncarnationofInsanity he has been quite helpful and he will probably be developing textures for a lot of our blocks ( if he wants to that is :D) okay everyone we had a hard day but a good one ( hopefully many more to come) I'm going to go get caught up with bleach (or at least start to) comment here tonight to ask or just talk with us!!! I am more than willing to take up both roles. Just let me know what textures you want, and how best to contact you/send the textures to you. Don't forget to make the mod forge compatible too, so it can be used with other mods. Its a good start though huh? Super jeli of that sig Gif tho. EDIT: It will be forge compatible, don't worry. okay guys. mod development is coming along as expected, although I'm having a slight hiccup with doing half slabs atm, its not easy, especially in 1.8 the amount of code that goes into it is insane when you consider that it takes 3 coded files just to make 1 half slab ugg. but I will do it. i should probably tell you all were beginning with roof tile blocks and then we will move onto paper walls and doors and move on from there. any way sorry for the update taking so long. No, it's fine. Compared to some other mods, this one is progressing incredibly quickly. Thanks for the hard work.